Similarity: The pressure of ZPS100-10C and ZPS100-10B are 1000KN. The production capacity of ZPS100-10C and ZPS100-10B are 6000 pieces per hour. Both ZPS100-10C and ZPS100-10B can press φ76mm tablets and φ80mm tablets. 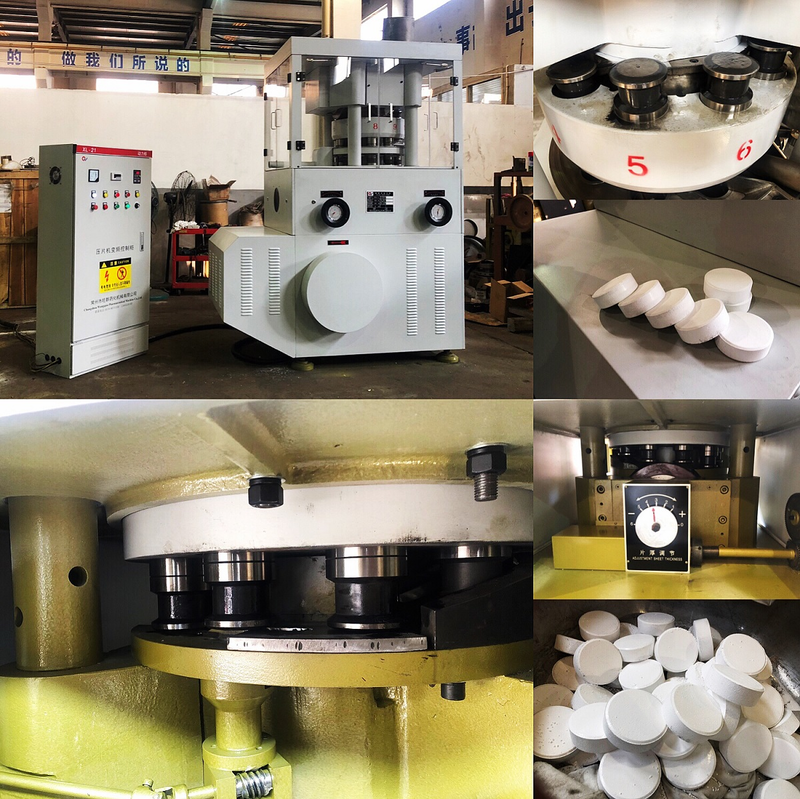 Difference: ZPS100-10C can not only press 200g φ76mm tablets and 200g φ80mm tablets, ZPS100-10C can also press 250g φ76mm tablets and 250g φ80mm tablets; While ZPS100-10B can only press 200g φ76mm tablets and 200g φ80mm tablets.